We have the expertise and equipment to perform the work in a safe, efficient, and cost effective manner. We welcome the opportunity to meet with you personally to discuss the many ways Concrete Cut & Core can assist you with your future projects. 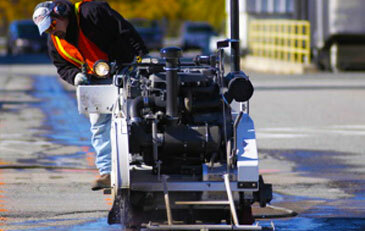 Concrete Cut & Core (CCC) was founded in 1997 to meet the growing demand for concrete cutting and coring services. Located in Central Massachusetts, we are ideally situated to service all of central New England in a timely manner. Our employees are experienced and well trained equipment operators. Our specially equipped and state-of-the-art trucks and equipment make it possible to provide our customers with prompt, professional, and innovative service. 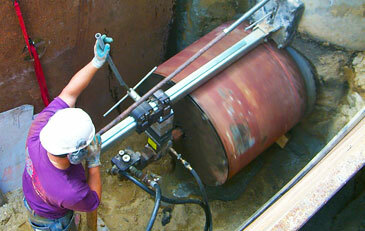 CCC specializes in commercial, industrial, and residential concrete cutting, coring, removal, and disposal. So, whether your need is for a single 2″ hole, multiple 3′ holes, slab sawing for plumbing pipes, asphalt sawing for road work, or wall sawing for bulkheads, doors, loading docks, etc., we have the expertise and equipment to perform the work in a safe, efficient, and cost effective manner. We welcome the opportunity to meet with you personally to discuss the many ways Concrete Cut & Core can assist you with your future projects. Contact Us Today! © 2018 Curtis K. Abbott Company, Inc.